With reference to the news report "Govt move to soothe tempers-Union minister orders report on asbestos unit" and pursuant to my first conversation with you on the issue of asbestos industry in India, I recollect that you were quite aware of the hazards of this mineral fiber and how its safe and controlled use was impossible. As a result some 55 countries have banned it. The list of countries that have banned and restricted it is attached along with few pictures of protest against the proposed plant in Bihar. I have learnt from the above news report that you have asked for a report on the Ban Asbestos Movement underway against the first such plant in Muzaffarpur, Bihar. A similar plant is under construction in Bihiya, Bhojpur, Bihar and have learnt that at least 10 such plants are in the offing in the state. I had written several letters to you in this regard. The details of the movement are available on BANI's blog. The plant in question in Bihar must be stopped so that such hazardous industries to not find any root there. However, it will be a complex task to respond to each plant and each such protest. Chrysotile (white asbestos), accounts for almost 100 per cent of the asbestos currently produced and used around the world and for 95 per cent of the historical use of asbestos since 1900. Epidemiological and toxicological studies and laboratory experiments demonstrate that it does cause various types of cancers, including lung cancer and mesothelioma. Therefore, I wish to make few suggestions for your considerations. Taking cognisance of the international legal position and the absurdity of banning asbestos mining and allowing import of white asbestos from Canada (which has a no home use policy) & other countries, there is a compelling legal, medical and humanitarian logic for a national ban on it. I think this decision will have to be taken by the Commerce and Finance Ministry but your recommendation in this regard will be deemed a historic step akin to USEPA ban on asbestos, Ban Asbestos in America Act of 2007 passed by the US Senate by Unanimous Consent and the adoption by European Union on July 26, 1999 of a written procedure which signalled the end to asbestos use throughout all Member States of the European Union. 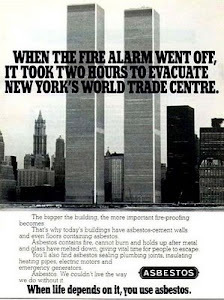 From January 1, 2005, the introduction of new applications of asbestos cement materials, friction products, seals and gaskets were prohibited. The human biology in India is the same as Europeans and others. 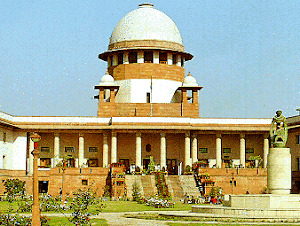 Consequently, steps for phasing out asbestos products ought to be announced sooner rather than later. This will create massive awareness and help decision makers fathom the enormity of the unacknowledged environmental health crisis facing us and the coming generations. In view of the adverse effects of asbestos mining on the health of the workers that the Central government directed the state governments in 1986 not to grant any new mining lease for asbestos (including chrysotile variety) in the country. 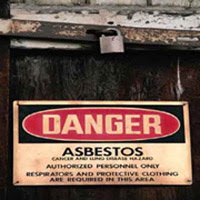 In June 1993, the central government stopped the renewal of existing mining leases of asbestos. Union Ministry of steel, mines and coal had issued directives for a ban on renewal or granting of new leases for mining asbestos. The ban was imposed in phases in 1986 and 1993 but not on its use, manufacture, export and import. There is ban on trade in asbestos waste as well as per Hazardous Wastes Rules. Clearly, so far only half step has been taken by our government, it is high time steps are initiated to take one full step if for no other reason at least for the sake of intergenerational equity. I will be happy to share more details. Note. Singapore and Taiwan have been removed from the ban list (Oct 2010). Although no further use of asbestos is anticipated in these two countries we have no hard evidence that comprehensive formal bans exist in either Singapore or Taiwan. 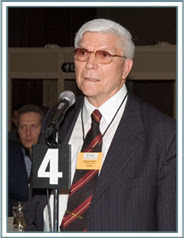 2 Croatia banned asbestos as of January 1, 2006. Six weeks later, the Ministry of Economy, under political and commercial pressure, forced the Ministry of Health to reverse its position with the result that the manufacture of asbestos-containing products for export was permitted again. 3 As the result of a series of restrictions on the use of asbestos introduced from the 1980s onwards, a de facto ban on asbestos exists in Israel. 4 An immediate ban on amosite and crocidolite was imposed on August 16, 2005; a grace period of one year was allowed for the phasing out of the use of tremolite, chrysotile, anthophyllite and actinolite in friction products, brake linings and clutch pads. 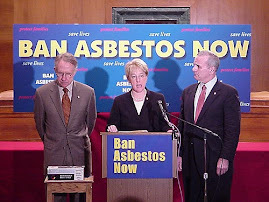 After August 16, 2006, all forms of asbestos were to be banned for all uses. 5 Although an order banning the import of all types of asbestos including chrysotile was adopted in July 2010, the enforcement of this legislation is not without problems.